We at MS Machinery a leading manufacturer of Vacuum Forming Machine,Garment Printing, Fusing, Heat press, and other textile printing machine. 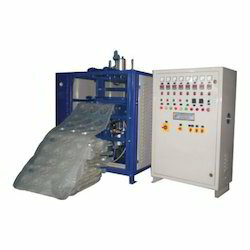 We are manufacturer and exporter of Vacuum Forming Machine. It is a technique used to shape variety of plastics. It is an easier way to make plastic bowls, buckets and plates etc. 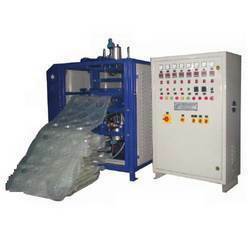 The plastic items manufactured through this machine that is Vacuum Forming Machine are reliable and efficient. Backed ourselves with sound amenities and brilliant personnel, we have emerged as one of the leading manufacturer, exporter and supplier of Thermoforming Machine. Offered machines are correctly designed and manufactured under the stringent guidance of accomplished professionals using unsurpassed grade material and advanced machines. These outstanding performing machines are made available in a number of specifications like models, sizes and others. Our firm specializes in providing a quality array of Vacuum Packaging Machines to our valuable clients from all over the world in accordance with the international quality of standards. Available with us a comprehensive range of V-Series - Single Chamber Vacuum Packaging Machines as per the requirements of our national as well as international customers. 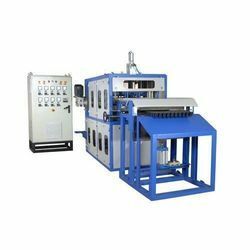 We are the leading manufacturer and supplier for AUTOMATIC VACUUM FORMING MACHINE, which is used as vacuum forming machine is an all-powerful thermal forming machine with integration of vacuum forming Press forming and synthetical forming. 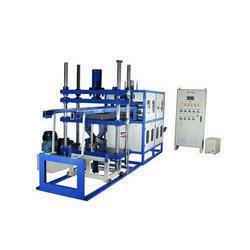 It can be used for processing many kinds of plastic sheet. It features reliable stability, large forming area, fast speed, highly automation and economic on manpower. Looking for Vacuum Forming Machine ?